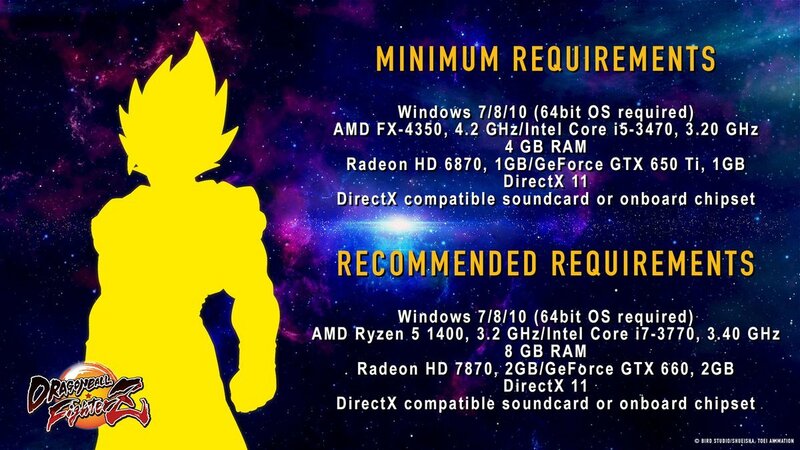 Bandai Namco Games took to Twitter to Release info about the required specs needed for the game's PC version . The Game will release for PC ,PS4 and Xbox One on Jan 25 .Developed by Arc System works ,the same team behind the Guilty Gear and BlazeBlue series ,Dragon Ball FighterZ possesses a visual style that mimics the popular anime . DirectX compatible soundcard or onboard chipset .